Polls demonstrate that 84% of the American public rejects the official account of what happened on September 11th 2001. Polls in Europe, Canada and the Islamic world have yielded similar results. Numerous prominent officials from around the world have gone on record expressing profound disbelief of the official narrative. Rapidly growing numbers are convinced that members of the Bush administration were not only grossly negligent in the days and months leading up to 9/11 but active participants in the attacks themselves. We are in the midst of a mass awakening. Like the Warren Commission before it, the Zelikow commission – appointed to investigate the pivotal event that “changed everything” – has proved a whitewash, a cover-up of a mass murder that reeks of official complicity. Millions of citizens have joined the family members of the victims in calling for a new investigation. Dying first responders - cynically exploited in the aftermath of the attacks and now cast aside as political liabilities - have pleaded for justice. Their pleas have fallen on deaf ears. 9/11 is the foundational myth upon which the entire neocon agenda is predicated. Every civil liberty curtailed, every passage hacked from the Bill of Rights, every torture camp built by Halliburton, every child murdered in Iraq – all of these have but one justification: 9/11. Yet leaders of the peace movement have avoided the truth about 9/11, forfeiting the one issue capable of putting a stop to this madness. And Democratic leaders, for their part, have not only assisted with the cover-up but embraced the War on Terror myth with vigor, threatening to outflank the neocons from the far right. Our leaders have promised us a hundred year war. We are promising them that they will not succeed. In the absence of sane leadership, we intend to do what people have always done to effect positive change: we will mobilize in massive numbers. On the Eleventh Day of Every Month, we call on activists everywhere to take to the streets in the name of truth. In every town and every city - and by any nonviolent means necessary - we will reach out together to our fellow citizens and spread the word. Observing the monthly anniversary of 9/11 with a united day of truth action will provide a regularly occurring focus for the movement, as well as an ongoing reminder to all media, elected representatives and people all over the world that the truth will out and we’re not going away. The 11th will be an ongoing symbol of our presence, our persistence and our growing numbers. As this campaign progresses our growing numbers will encourage more and more people to take action for truth every day until we reach critical mass. 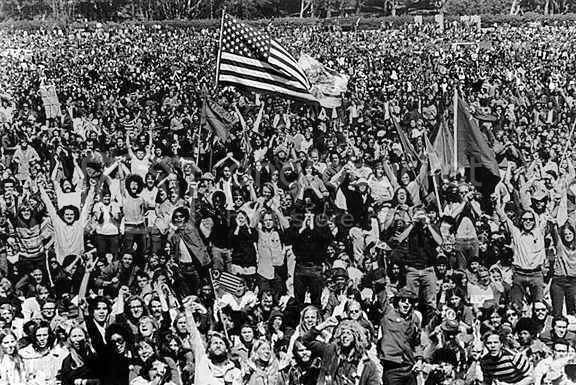 As each month passes and this idea spreads - across the internet, through cafes and town halls and into the collective consciousness of the American public - the 11th will become a rite of passage. The movement will grow exponentially until it can no longer be contained. All that is required is participation by a small number of people already awake and willing to stand up and speak out for truth and justice. The laws of gravity - so absent from the NIST report - will take care of the rest. We will stop playing according to their rules. Idleness is defeat. A thirty second haranguing on the O’Reilly Factor is not enough. Our success depends on massive, sustained growth backed by concrete action. Lacking coordination, meeting points and a nationwide plan of action, many have settled for solitary vigils, scattered protests, provocative T-shirts and tables at peace marches. All heroic in themselves, but we must do more – together - on a regular, ongoing basis. What is missing from the truth movement is not so much a widespread awareness of the cover-up but a real plan of action that people all over the country can get involved in. Ongoing national days of truth action will fill this void. So began the Civil Rights Movement. It did not begin with Martin Luther King. A great man did not appear from on high and lead the masses to victory. It began with regular people getting off the couch, getting together and standing up for truth and justice. Our actions will be diverse, creative, colorful and groundbreaking. We will document our actions to inspire and encourage others to join us. Civil disobedience is encouraged but violent actions will not be tolerated. Should such actions occur, we will assume the culprits to be provacateurs, participating in the time-honored tactic of breaking up positive forces that threaten elite power. There will be no centralized, hierarchical base but rather a horizontal nexus where activists can devise their own tactics for their own communities and coordinate these activities nationwide. The key is a unified and ongoing effort. We will not stop until the September 11th criminals are exposed and brought to justice. Until then, the eleventh day of every month will be observed in honor of all those who were murdered on that day and the many who have lost their lives in the name of that day since. Our grandchildren will not be designated as cannon fodder before they are even born. We will not submit to a techno-fascist police state built on a big lie. Slavery is not an option. One of our most prominent, courageous and dedicated young members of NY911Truth and CHANGE, Dan Wallace, is no longer with us. Dan's father Robert Wallace gave his life on 9/11/01, leaving Dan with many unanswered questions about 9/11. 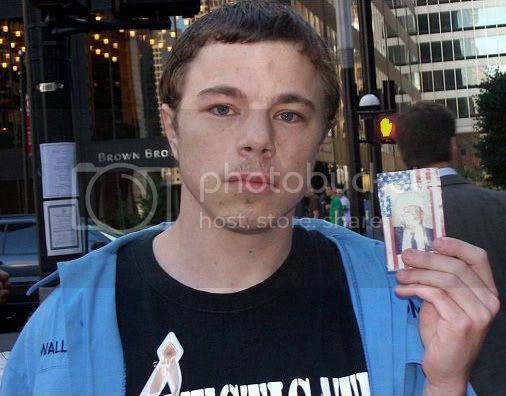 Dan was an ardent activist who showed no fear when confronted by police at street actions at WTC Building 7 and at the New York Stock Exchange. Dan was an eloquent speaker, both on videos of the street actions and at St. Mark's Church, where he gave a moving oration before a packed crowd in a recent Sunday night presentation. Dan Wallace, 23, was found dead early Monday morning in his bed. The exact cause of death is yet to be determined. He was a young man of great conviction and conscience, and his heart was as big as his smile. Dan will be sorely missed by myself and the members of "We Are Change," as well as all of us in the New York 911 Truth organization. Our hearts go out to his family, especially his mother who must endure the deaths of a husband and child in the span of only a few years. We carry on the fight in the memory of Dan Wallace. He is in our hearts now, as his Dad has been in our hearts already. We continue the mission that Dan felt so strongly about: to strive to expose the truth of 911, and to bring the real 911 criminals to justice. Dan, you are with us, we'll never forget you and we promise to make you proud. We as NY911Truth and CHANGE have been doing street actions every Saturday and several weekdays, Dan was a huge part of these street actions and the only way I can think of remembering Dan is with the continuation of these street actions nationally and globally. On the 11th day of every month stand up for the truth and do a street action in your community. Do it for Dan! Do it for Dan’s father Robert Wallace. Do it because the victims of 9/11 deserve the truth. This is the only way I can remember and respect Dan, by fighting for the truth. Me and Dan fought together shoulder to shoulder for the truth. This is what he would want. I embraced this campaign from the moment I heard about it because I truly believe that this is our one big chance to transform 911 truth from internet phenomenon to nation-wide resistance movement. Gatekeepers such as Chomsky have one and only one compelling argument with respect 911 truth: they argue that it will never produce profound institutional change and is therefore – potentially – a waste of time and energy. According to this line of thinking, we should devote ourselves to other forms of activism. This is our chance to prove the Chomskys, Monbiots and Alex Cockburns of the world wrong. The JFK assassination provides empirical evidence of Chomsky’s theory. Investigation of so-called “conspiracy theories” – while obviously an essential form of intellectual inquiry – must by their very nature be relegated to “hobby” status, so the theory goes. We can dissect the minutiae of how the CIA pulled it of; we can devote countless hours debating which anti-Castro Cuban was involved; we can go out and fire old-fashioned rifles and prove that Oswald could never have killed JFK in the manner the Warren Commission (absurdly) suggested. But at the end of the day, we will not have affected the power structure one whit. Applying this historical pattern to 911 truth: we can wait for whistleblowers and deep throats who may never emerge; we can argue endlessly on internet message boards about whether Flight 77 hit the Pentagon (I doubt it, personally); we can engage in localized protests which may – if we’re lucky – be covered in some backwoods newspaper with a readership approaching zero; we can harangue and embarrass officials at public functions and post these small triumphs on youtube; we can beg politicians to take up our cause. We can do all of this and more, but at the end of the day our efforts will amount to a pin-prick in the side of a whale. The wars will continue. The repression will continue. The steady march toward Armageddon will continue. They are safely ensconced in lion-footed Chippendale chairs, Cuban cigars clenched in their teeth, drinking aged whisky from Steuben Crystal. In the corner is an eleven-year-old Monarch, naked save a maid’s outfit, standing beneath a painting by George Stubbs. How do these creatures view us? As cattle. As entertainment. I have no doubt that the highlight of Bill Kristol’s day is reading 911blogger and chuckling at our current level of impotence. They fully understand that unless we take this thing to the streets we will never affect the power structure in any meaningful way. Here we have the solution to the problem we all face. The only way to reverse the historical trend with respect “conspiracy” is to treat 911 as do the architects of the event themselves: not as yet another “conspiracy theory” but as the “event that changed everything”. Read Clausewitz on war. We must take bold action or be relegated to an historical footnote, assuming that in the late 21st century there remain any books at all, let alone some semblance of “civilization”. 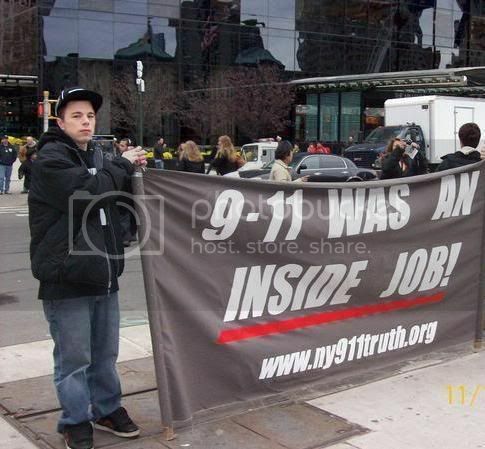 To be honest, I never really believed that 911 activism would accomplish much. My assumption was that 911 truth would go the way of the countless other “conspiracies” revealed (albeit piece-meal and incomplete) to the public: good fodder for dinner party conversations and book sales – yet more proof that powerful states in general and the United States (government) in particular have all the characteristics of the cosa nostra – but ultimately a non-starter when it comes to actually changing the social and political arrangements that allow these monstrous operations (as well as the less spectacular, but equally villainous institutional monstrosities) to continue. Millions of people die in Africa every year from easily treatable diseases. This is not incompetence. This is by design. I became involved in this movement only because I wanted people to become aware of false flag operations; this, I hoped, would cast light on the overall absurdity of the “war on terror”. I wanted to make people aware of the cynical and brutal operations employed by states to whipsaw populations into supporting imperial plunder. I wanted to make people aware that wars do not serve the interests of ordinary people; rather they are invariably used as a pretext to repress dissident elements in the “homeland”. Read Randolph Bourne circa 1914. “War is health of the State”. I thought 911 truth would help people understand how states actually function. I wanted to empower people and arm them with knowledge rather than sitting on the sidelines and pretending the official story made a modicum of sense. But I never thought the movement would do anything but educate. I never imagined we would go supernova. The only thing missing is a concrete, NATION-WIDE plan of action that people can get involved in and sink their teeth into. Well, here it is. Live on your feet or die on your knees. Do we have the mettle to take this thing to the streets en-masse? I think we do. If there’s one thing NOT lacking from the 911 truth movement, it is courage. The truth is on our side. Newton smiles on us from heaven. We CAN beat them and we WILL beat them. I cannot stress enough how important I feel this campaign is. Seize the day. Get involved. Get in the streets. Let us make 911 truth a force to be reckoned with. Let us reach out to our fellow citizens in non-violent direct action. Let us do this NATION-WIDE in a rational, intelligent, coordinated effort. Let us maximize exposure. We can force their hand. We can have a new investigation. We can ensure that the new investigation does not descend into the classic limited hangout. We can dismantle the institutions of unjust power and coercion that enslave us. This campaign has the potential to explode, not like the bombs of September but like a revelation in the collective consciousness of the American pubilc. The eleventh of every month should become a right of passage. Every action initiated can serve as a force-multiplier, bringing more and more people to our cause. I do not live in the United States, but rather an hours drive from the border. I live in Vancouver, British Colombia. Canada. But 911 affects all countries, each government embracing the “terra” myth to cement their own power structures and curtail civil rights. Even though I do not hail from the US, I will be participating in the first, historical call to action on the 11th of February. P.S. : DZ, Reprehensor, GW, SBG, please post this in the main news section and let it stand at the top of the page all day tomorrow. Danse on Tue, 02/06/2007 - 10:20pm. ...that unconventional weaponry was used to bring down the Twin Towers , will you admit you were wrong to attack those who worked to expose the cover-up of that fact? Not even if those weapons were being designed for use in a future global conflict of which 9/11 was just the dry run? Hereward on Tue, 02/06/2007 - 10:28pm. You sound like a broken record. Every single post has to be about exotic weaponry? Who cares that this article has to do with unifying to take action, you still have to bring up star wars beam weapon arguments. The answer to your question is obviously a huge "yes". The real question should be: when those who focus on activism instead of arguing fringe theories finally succeed, will the fringe theorists continue to argue that their theories are correct? At some point you have to grow tired of arguing all day on the web and agree to focus instead on changing common beliefs and causing effective change. If you think that comes from arguing over theories (which could never possibly be proven beyond a reasonable doubt to the average citizen) instead of focusing on our strongest points and disproving the official story then you have another thing coming. FalseDichotomy on Tue, 02/06/2007 - 10:39pm. Erin S. Myers on Wed, 02/07/2007 - 12:50pm. If you're doing an action on the 11th and it's not listed - add it to the list. If you don't have an action planned, do something - anything. What if we all got out in the streets for 9/11 Truth at the same time? In the words of Carol Brouillet, "at least wear a button or a t-shirt or something". YT on Sat, 03/10/2007 - 9:38pm. will direct listeners to this blog! keep up the good work. you all might want to check out Mike Gravel's forum...lots of 9/11 talk going down. kate of the kiosk on Fri, 05/11/2007 - 7:11am. kate of the kiosk on Fri, 05/11/2007 - 7:12am. That is how serious this issue is. I received this in an email yesterday. I have asked the author for permission to print it, which he has given me. He is somebody I respect, as do a good many others. I should like here to postulate that were it not for DIRECTED ENERGY WEAPONRY theory emerging as a likely source of the destruction of the twin towers of the World Trade Center, IRAN's nuclear facilities likely would have been attacked already. Mind you, they still might be attacked; but the exposure of the use of DEW on WTC may well be the single most important reason why no such attack has occurred as yet simply because the aftermath of such an attack would bear too much resemblance to what ground zero looked like. If DEW were used there, the likely outcome would be a subsequent photograph that contained what? DUSTIFICATION, HOLES, TOASTED CARS and LITTLE DAMAGE to any nearby non-targeted structures. In other words, it would look like the remnants of the attack on WTC. Because Judy has focused our attention on what ground zero actually looked like and what the attack actually looked like as it was taking place, and coupled that with DEW, any plans to use DEW on IRAN or elsewhere might well have been set back. Judy has brought to the forefront of 9/11 Truth consciousness the effects of a DEW attack. If any such attack on Iran were to occur, the fact that Americans were killed by the same process might well filter down to the level of public awareness. The inability to answer that last question might be the single most important reason why use of DEW is being postponed. Needless to say, with that kind of consideration out in the open, we can see why, for good reason, the effort to discredit Judy Wood has reached fever pitch. And the effort will fail; all the moreso if we start using the information available to us a little more openly. Hereward on Thu, 02/08/2007 - 8:58am. I think I am being hacked. Hereward on Thu, 02/08/2007 - 9:05am. What else can be said about that? Do you really believe what you wrote down?!? ... or WHAT? TNF on Thu, 02/08/2007 - 9:17am. to that individual's posts on this blog - he can start his own blog if he needs to discuss energy weapons. YT on Thu, 02/08/2007 - 9:38am. Looks like the moderators of this forum have not heeded my advice. I am very disappointed at this. Apparently National Days of Truth Action is regarded as your average milquetoast call to action, when in reality it supposes a nation-wide campaign which can potentially transform the 911 truth movement into an awesome force. Allow me to repeat: this is the single best chance we have to transform the 911 truth movement from internet phenomenon to mass movement. Please bend your rules on this one score and allow YT's announcement to remain front and center for at least a day. Danse on Tue, 02/06/2007 - 10:46pm. Real Truther on Tue, 02/06/2007 - 11:00pm. marks the 65th month since September 11th, 2001. YT on Tue, 02/06/2007 - 11:06pm. Doucumentation of actions for truth is an important key to encouraging more people to do the same. Take pictures and video of your action and post it online. YT on Tue, 02/06/2007 - 11:59pm. Sitting-Bull on Wed, 02/07/2007 - 3:55am. Huge thanks to the 911blogger crew! YT on Wed, 02/07/2007 - 2:36am. You might as well stop pretending. You might as well stop pretending that your intention with the directed energy weapon hypothesis is exactly so that the truth never comes out. You want to tie us to star-wars, road runner cartoons, and no-planes. The point is, these things won't matter if they are true until there is an investigation. Unfortunately, your insistence on not listening to the majority of the movement is hurting the chance of an investigation. So you can give it up now. Any more stubborn posting of the outlandish theories only serves to prove where your interests lie. Which is neither truth, nor justice. Vendetta911 on Mon, 02/19/2007 - 12:05am. I have lurked on anti-NWO sites till now. Your post just prompted my decision to delurk. Anyone interested in an 11th day of the month Truth Action in Glendale or Pasadena, California at lunchtime, please contact me. Let's bring these bastards down now. Haig Adomian on Fri, 04/06/2007 - 5:57pm. Abel Ashes on Wed, 01/27/2010 - 5:13pm. Thanks so much for the support and feedback. I couldn't imagine a more righteous endorsement. YT on Wed, 02/07/2007 - 2:24am. Or how 'bout this quote? "Read Clausewitz on war. We must take bold action or be relegated to an historical footnote,"
rm on Wed, 02/07/2007 - 2:47am. Danse, I don't know where my response here will come out on the screen. I am replying to your "This is it" post. That is a very good piece of writing. One point I'd like to make is that, sure, demonstrating can be good and effective if done right. All other efforts also help -- writing letters to the editor, putting up signs, talking to whoever, all of it. Scientists writing for J. of 9-11 Studies helps. Writing good blogs here helps. Talking to family members and friends and all of that... helps. Whatever we can do. Ultimately the tide will turn. We see it turning. Student on Fri, 02/09/2007 - 3:02pm. You can send a message to numerous people anywhere in the country.....Just type in the city of your choosing and go to the forums. JJJames on Tue, 02/06/2007 - 11:03pm. Immediately after posting that snarky comment with respect the moderators, I now see that the new campaign is featured front and center. Therefore, I would like to thank the moderators from the top of my soul. Posters sometimes forget that moderators have lives too -- they cannot abide by requests in real time. Danse on Wed, 02/07/2007 - 3:44am. We as NY911Truth and CHANGE have been doing street actions every Saturday and several weekdays, Dan was a huge part of these street actions and the only way I can think of remembering Dan is with the continuation of these street actions national and globally. On the 11th day of every month stand up for the truth and do a street action in your community. Do it for Dan! Do it for Dan’s father Robert Wallace. Do it because the victims of 9/11 deserve the truth. This is the only way I can remember and respect Dan, by fighting for the truth. Me and Dan fought together shoulder to shoulder for the truth. This is what he would want. YT on Tue, 02/06/2007 - 11:20pm. Is there any word on how Dan died? It seems so oddly sudden. Did he have an underlying illness? I hope we don't start seeing one truther after another, here and there, just dropping unexpectedly. Student on Fri, 02/09/2007 - 3:05pm. Dan's girlfriend Sabrina posted here yesterday. YT on Fri, 02/09/2007 - 11:44pm. Meet at Powell & Market at 12 noon. SF Truth Action will be doing 9/11 truth visibility and outreach in the heart of the city. YT on Tue, 02/06/2007 - 11:25pm. YT on Tue, 02/06/2007 - 11:28pm. YT on Tue, 02/06/2007 - 11:44pm. Dan Wallace and his father are my inspirations to get the truth out this year. They are fueling my fire. Dan, in just the few clips I've seen him with, is nothing short of amazing. He is literally my hero. card51short on Wed, 02/07/2007 - 12:52am. I don't know of anything organized as of this moment. I can put you in touch with other people in Seattle, if you want. If you don't do something with a group do something by yourself - hold up a sign, hang up a sign, do public outreach or just put up flyers - and document whatever you do. Dan is my hero too, he is my inspiration. He wants us to do this. YT on Wed, 02/07/2007 - 2:46am. Meet at downtown clock tower, corner of N. Pacific and Water Street, 12 noon. metallus2 on Wed, 02/07/2007 - 1:09am. YT on Wed, 02/07/2007 - 3:08am. Aaron Russo's "America, From Freedom to Fascism"
Free! Come meet some fellow truthers and see some of the related problems in this country. Realist on Wed, 02/07/2007 - 12:24pm. HUST PLEASE NO CHANTING. IF I HEAR THAT DUMB ONE LIKE "9/11 WAS AN INSIDE JOB - 9/11 WAS AN INSIDE JOB" AGAIN IM GOING TO THROTTLE SOMEONE. WE WANT A REINVESTIGATION, NOT COME ACROSS AS A LOAD OF PEOPLE HUNGRY FOR BUSH/CHENEY BLOOD. ihatenameswhich... on Wed, 02/07/2007 - 5:30am. I'll be distributing flyers, deception dollars, and photocopied articles on Sunday. The only decision I've yet to make is whether to work in Sacramento, or join you in SF. The poster thing I did last month has a substantial weakness. It takes less than a second for someone to pull it down. So passing out flyers is better. Another good tactic is using sidewalk chalk. You can post messages that get straight to the point, or something more indirect like, "Search YouTube for "WTC 7". ZachM on Wed, 02/07/2007 - 9:33am. Don't be too discouraged if a poster doesn't stay up for that long before someone pulls it down. Sure, that happens sometimes, but I actually get a kick out of seeing just how long some of them may last. Some have remained in place for a week, or even two. That always brings a big smile to my face. In many cases, if they are put up on a Fri. eve, they may last until at least Monday, when city crews could possibly come by. In the meantime, they have been seen by hundreds, or even thousands. Chain-link fences around construction sites are a good spot. Also, look for busy intersections, where it may be difficult for someone to pull over and park long enough to take it down. How many to put up? Oh, say, nine or eleven (on the eleventh). Just think, if we all did that, they'd be everywhere. I have a suggestion, go over to http://www.911sharethetruth.com and order some of those for about 70 cents each, or make your own. And what's with the "no chanting" (other poster)? I found one of the recent protest videos here quite inspiring for that very reason. Make some noise! How 'bout "Where in the world is Osama?" ... sung to the tune of "Where in the world is Matt Lauer?". Hey, my first post since becoming a registered user (guess Nico gave dz no choice) although I've been around awhile. Next step: sending some pics in for the Activism section. Randy on Wed, 02/07/2007 - 3:15pm. I know one of them didn't last for two hours. Still I appreciate the suggestions. Those are some nice looking items are sharethetruth.com. They could be more persuasive than my homemade flyers, simply because of a "professional" appearance. I'm also brainstorming ways to put up a poster higher than could be casually removed. ZachM on Wed, 02/07/2007 - 10:04pm. YT on Thu, 02/08/2007 - 9:45am. Amtrak charges something like $36 for a round trip to SF, and I'd rather spend the money on photocopies. ZachM on Thu, 02/08/2007 - 3:25pm. The money is better spent on outreach materials and Sacramento needs you! YT on Fri, 02/09/2007 - 10:01am. PLEASE come join up at this forum and help spread some 9/11 truth with me. My town is so, almost totally, in the dark about one of the most important issues in modern times. That's the site, and I forewarn you, they're mostly southerners who are still completely in the "BUSH GOOD KILL AY-RABS" mode. Be prepared. Be gentle. Vanaze on Wed, 02/07/2007 - 3:00pm. There will be a 911 film festival/documentary marathon here in Cambridge, MA (02138) on February 9-11. We would love it if any of you guys could 1) attend, 2) bring new 9/11 initiates, so they can get a good education by watching the DVDs and enjoy them on a big screen with snacks, a movie theater atmosphere and fellow activists; and 3) inform anyone in the area who might be interested in coming. If any of you can attend, we need 9/11 organizers to help out with the CONTINUOUS ORGANIZING with attendees that will be occurring in the room outside the theater room. We need people to help tell activists how to organize. Also, if you have any 9/11 or other related materials you'd like to sell, be our guest. We'd love to host people who are selling their books, pins, DVDs, t-shirts and so on. We can sell them for you and give you the proceeds, if you bring the materials down here, or you can sell them yourself. Either way- it will help to provide materials for attendees to purchase. We'd love to see you there! Please call me if you have any questions or can help in any way! Democracy Center at 45 Mt. Auburn Street, Harvard Square, Cambridge. To get there from the Harvard red line T station, walk east on Mass. Ave, right on Plympton, and left on Mt. Auburn Street. There will be signs directing you to the free-standing two-story house on the corner of Bow Street and Mt. Auburn. 3:30pm: Who Killed John O'Neill? solar roller on Wed, 02/07/2007 - 4:37pm. Wish I could attend, but you'll just have to settle for my being there in spirit. Wonderful list you've put together for your film festival, an example for many to repeat. Erin S. Myers on Wed, 02/07/2007 - 5:59pm. Joe on Wed, 02/07/2007 - 7:29pm. I had a thought last night that some people would really be shaken if they saw some 'respectable' 'business people' in suit and tie involved in the protest. Having said that and just to show what a hypocrite I am, I would never wear such to a protest and don't even own the attire. geoffritchey on Thu, 02/08/2007 - 11:36am. I purchased a fine Brooks Brothers suit for $15 at a used clothing store, for this kind of thing. Sometimes a person has to swallow some pride and just do it. Student on Sat, 03/10/2007 - 5:42pm. Luke's call to action has been included in the blog. YT on Thu, 02/08/2007 - 8:03pm. If you would like to add your group's name, let us know. YT on Mon, 02/19/2007 - 8:26pm. GET OUT IN THE STREETS FOR 9/11 TRUTH! YT on Sun, 02/11/2007 - 10:14am. YT on Sun, 02/11/2007 - 12:35pm. YT on Sun, 02/11/2007 - 9:18pm. YT on Sat, 02/17/2007 - 8:27pm. Floridians For 9/11 Truth will be hitting the Baywalk in St Petersburg on March 11. We will be doing outreach and planning. We will provide literature/flyers, T-shirts, and beverages for the day. Meet at Center Courtyard outside of Starbuck's at 1 PM. We will also have DVD's of Loose Change and 9-11 Press for Truth available. Other films may be available as well. We are also in the process of putting together a film festival for April 11th. More details to come by next week. Let's hit the streets people!!! The Eleventh Day of Every Month! Floridians For ... on Mon, 02/19/2007 - 11:19pm. I was trying to organize a gathering in Santa Cruz. Unfortunately no one showed up. If anyone has any ideas on how to make this work for Santa Cruz please let me know. I know my neighbors to the north, SF Truth Action, have been very successful. metallus2 on Sun, 02/25/2007 - 2:00am. Are you hooked up with the local group? I just talked to Gabriel Day about the campaign - he's from Santa Cruz. He said there was an SC truth group. Maybe you could hook up with them and get something going. YT on Sun, 02/25/2007 - 6:36pm. Yes I have been with the group. I proposed it to the group and still no one showed. I have tried doing street action a couple times with the group with not much interest. IMO the santa cruz group is mainly focused on movie showings and not much else. So therefore I am trying to look "outside the box"! Possibly wondering if someone from the SF group (someone who lives in the south bay) might want to join me. metallus2 on Sun, 02/25/2007 - 11:03pm. YT on Thu, 03/01/2007 - 2:53pm. I go out all the time by myself - just a big sign, some flyers and a whole bunch of dvds. It can be intimidating at first but you'll most likely have a lot of fun and end up meeting people who will join you next time, or join you right there on the spot. YT on Mon, 03/05/2007 - 10:52pm. And he is very cool. Jon Gold on Mon, 02/26/2007 - 12:18pm. It was great to meet you! I wish we'd had more time to hang out - I didn't realize you were going to be leaving early. YT on Thu, 03/01/2007 - 12:08pm. I overslept Sunday morning, and had to be at the aiport by 2pm. It was an hour drive both ways from my friend's house, and I didn't want to push it. Nice meeting you. Jon Gold on Thu, 03/01/2007 - 8:43pm. If you're doing an action on the 11th and it's not listed - add it. YT on Fri, 03/09/2007 - 4:46am. Anyone in cincinnati for march?/april? highcard00 on Sat, 03/10/2007 - 9:23pm. Will be out by myself again tomorrow, then in April we may have more people. Will have signs, deception dollars, 9/11 info cards, a few 9/11 dvds. Thanks again for the words of wisdom. We can do this!!! metallus2 on Sat, 03/10/2007 - 8:46pm. YT on Sat, 03/10/2007 - 9:36pm. Pictures and videos of people's events tomorrow. Jon Gold on Sat, 03/10/2007 - 9:49pm. A number of people have sworn to get pics tomorrow so hopefully we'll see some. And you've got a perfect backdrop for photo ops - work it! YT on Sat, 03/10/2007 - 10:08pm. Visibility and Outreach: Wednesday, April 11th from 4:30-5:30pm at the downtown Santa Cruz CLOCK TOWER, intersection of Mission St. / Water St. and Pacific Avenue. Signs and handouts will be available. metallus2 on Thu, 04/05/2007 - 12:12am. To those going out today. Jon Gold on Wed, 04/11/2007 - 8:59am. Jon Gold on Thu, 04/12/2007 - 8:30am. YT on Thu, 04/12/2007 - 3:31pm. Does anybody know of a truth group in western NC...... say, in the Asheville area or thereabouts? We have a small group in Morganton, getting bigger but would like to connect with others. medicis on Mon, 09/03/2007 - 7:21am. HUSTON on Fri, 11/07/2008 - 4:52am.